This isn’t a political crisis for the Conservative Party, or an individual problem for Theresa May’s career trajectory, it is a much deeper crisis of citizenship. The economic system which defines people as objects to be exploited, consumers whose only duty is to buy, and in a British context, loyal subjects is broken, exposed and protected only by the threat of state violence and the stage-management of media scribes. “The horrific corollary of a faceless, irresponsible system of public-housing governance is that many of the poor and vulnerable people who died in the fire are not even being given the respect of formal identification as victims – because they live on the fringes of the state, and the authorities seem unable to be confident they even existed, let alone that they have died. It doesn’t shame us all at all, but he is right. Peston’s observations give Prime Minister May’s famous speech “…if you believe you’re a citizen of the world, you’re a citizen of nowhere…” a much darker hue. But while this is NOT about Theresa May as an individual and the problems the crisis has surfaced will NOT be resolved by a change of personel, May does have unique responsibility for the shambles she has created and then mis-managed at every cringeworthy step. May has a distinctly authoritarian streak that shouldn’t be ignored amongst her fleeting ‘liberal’ rhetoric or her shambolic campaign. The language of anti-fascism used to crush rights, undermine the rule of law and give carte-blanche to off-the-leash military violence. Leaving aside that opposition – division – is a sine qua non of parliamentary democracy, the reaction to May’s comments in significant sections of the British press was striking. Such rhetoric coming from Turkey – or just about anywhere else – would have been decried as autocratic. Instead, the following day’s Daily Mail splashed with a full-page photograph of Theresa May’s face and the imploration to “crush the saboteurs”. Late last year, high court judges who ruled that the British parliament would have to vote on the start of the process of leaving the European Union were branded “enemies of the people”. This language of unity and dissenters as enemies is replicated and amplified in the extraordinary speeches of the (now almost forgotten general election) in which she compared nationalists and jihadists – as “separatists and fundamentalists”. She can’t tell the difference between Jihadi John and Uppity Jock. There’s long been ‘confusion’ between legitimate protest and terrorism. From Hilda Murrell to Mark Kennedy, from the Enemy Within to the McDonald Libel case the British State has been suffering from ‘blurred lines’ seemingly incapable of distinguishing between activists and campaigners for a better society, and people who want to bring terror to the streets. But the last few weeks has come astonishing new revelations about the continued ‘confusion’ by western governments and corporations about the difference between a protestor and a terrorist. A shady security firm known as TigerSwan in the USA has been found to have targeted the movement opposed to the Dakota Access Pipeline with military-style counterterrorism measures, collaborating closely with police in at least five states, according to internal documents. The firm, which had its origins as a U.S. military and State Department contractor helping to “execute the global war on terror” has now turned itself to a more domestic threat. There are several key elements to this unfolding attack on human rights and democratic principles. The first is that these companies work for the corporation who is under ‘attack’. So in this case TigerSwan works for Energy Transfer Partners, the company building the Dakota Access Pipeline. In their eyes their first and primary allegiance is to the company who is employing them. This has the immediate effect of disorienting their own values. They are not part of any wider societal exchange or public debate. They are paid to protect the interests of the company. This isn’t any Marxist ideological analysis, this is just what thy are paid to do. The second is that they are the product of war. The third is that they are the product of privatisation and the outsourcing of police and security services. The fourth is that they are the outcome of data, technology and the hidden hand of the conflation f state power and commercial interest. The fifth is that the ‘bar’ about human rights, about what we might expect as citizens has at best been dramatically lowered and more likely just dissolved and eroded. This wouldn’t happen here would it? All of which brings us to Brexit, starting tomorrow. “Last year’s triumph for Brexit has often been paired with the rise of Donald Trump as evidence of a populist surge. But most of those joining in with the ecstasies of English nationalist self-assertion were imposters. Brexit is an elite project dressed up in rough attire. When its Oxbridge-educated champions coined the appealing slogan “Take back control,” they cleverly neglected to add that they really meant control by and for the elite. The problem is that, as the elections showed, too many voters thought the control should belong to themselves. “The People” can and must be evoked when it is politically useful, but when they emerge as actual people actually “taking back control” they are to be despised, smeared and treated as “saboteurs” and insurgents, “vile separatists” and Remoaners. As Peston suggested they are treated as less than human, certainly citizens of nowhere, possibly traitors. Brexit can and must only mean a further erosion of human rights. In Scotland we have been urging and shaping the end of the British fantasy for many years, and we should avoid seeing solidarity with people in London as some kind of aberration from this. Nor is support for a true insurgency in any way at odds with self-determination. From Project Fear to the backlash against the truth being exposed through the Grenfell Tower tragedy the British state is revealing its own vulnerability. Maximum solidarity will be needed as we enter the economic catastrophe that will be wrought by the impending shambles and the “childish fantasy” of Brexit. The electorate in E&W need to grow a pair of balls pdq. Right now, they remain subservient, docile, compliant and terrified of doing anything about this Government. A nation of quivering mice, living under the control of fat, overgrown, greedy neo-liberal rats. So true. But it’s aye been. Do not agree. Plenty of evidence of the English taking to the streets in protest when things become to much. Difficult to find any protests in Scotland. It’s the Scots that meekly take anything thrown at them by the UK, that’s how they are able to keep us. The form of Brexit, rather call it quitting the EU, that BritState gets will very much depend on the Brussels mood. That the UK, ratting on its EU membership, can decide the manner of its departure is media fantasy. The EU is going to make ‘an example’ of this. The UK will get whats offered and it may well not like the ‘gift’. We know that at the core of Brexit lies the imperative to husband the interests of London and The City. All else is tertiary, at best. Where we as a nation fit into this, if at all, is anybody’s guess. If we end up being a margin of a margin we ought not to be surprised for in the grand scheme of Great British things that is exactly what we are. Post EU the future looks chillingly bleak not just for us but for the many. Idaho state in USA has the flower Philadelphus lewisii “syringa” but it is always known as the mock orange. It is similiar with the hung parliament in the United Kingdom and with the need for the English Conservative party to get into bed with the DUP. The DUP are proudly Orange. However the conservatives are just like an Idaho flower and will just be a mock orange. Solidarity will be extremely difficult in the Brexit content, as Labour are also running scared of a UKIP revival. Hence the reason why they are also promoting a hard Brexit. Why is there no active search in Grenfell Tower? BBC anchors are popping up as night falls on Sunday with a blackened, and blacked out, tower behind them. Where are the searchlights of rescue/recovery teams? Why have the police promised more figures tomorrow on the death toll? Does no one care to give the survivors and relatives of the dead the information they so desperately need? This is bizarre. More so if the level of resources available for the recovery effort are limited by Tory cuts. I find it hard to find even basic information of the number of flats and inhabitants, whether dead or alive. I’ve read several times that there were 120 flats, over 23 floors, and that they were one or two bedroomed. That might give a population of about 300-350. Surely the council must know how many official registered tenants they had? Yet one suspected victim on the 23rd floor was in flat 201, another in flat 203. Surely it must be possible to know how many officially lived there and how many survivors needing re-housing? The rest must be missing, presumed dead. It’s worryingly bizarre. There are well developed policy plans to restrict the release of death and injury after a major incident. That quite simply will be reason that the lid is being kept on the dead and missing. This is a big political issue, the government don’t want to scare the natives, aside of which, such a horrendous death toll in one of the world’s premier capital cities will be a downright embarrassment to the government. That thought struck me too, Willie. Our shiny, golden national (nay global) Capital City shown up by the blackened husk of a Dickensian era warehouse for the begrudged storing of people who are not valued or wanted. I dare say there are those who would see the solution to this shame & embarrassment as simply making sure “the wrong sort” don’t ever get to live anywhere near “highly desirable” postcodes in the future. I shouldn’t have used the word “warehouse”. Warehouses have sprinkler systems. Goods are valuable. This worries me too. I keep trying to work out how many people there should be (one/two per household)? It is just incredible how the lid is being kept on this shocking scandal and the media are, as ever, backing up this failed government. It shouldn’t bee too difficult to estimate the death toll – or is the delay more to do with preventing a fury so great, it can’t be assuaged? This is well worth a read. 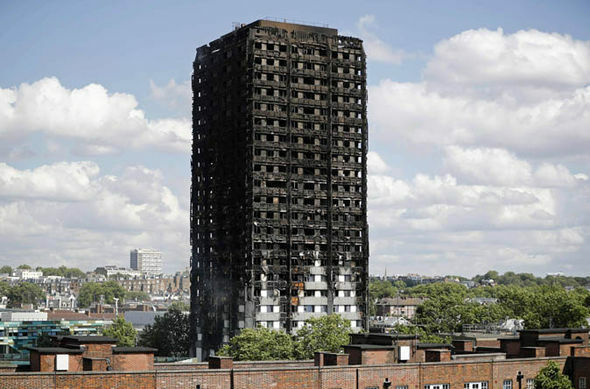 It mentions 600 people lived in Grenfell tower. the lack of info about the number of grenfell fatalities is beyond bizzarre. In the 30s in Nazi Germany people disappeared and folks knew nothing about it. Maybe not so dissimilar from here. Ah, but we’re the World’s greatest democracy Carmen. This is a very good article that makes clear the scale of ongoing attacks on our freedoms & rights as citizens. Is there no way to have it read more widely? In mainstream print media even? Scotland could be a lifeboat and inspiration for the rest of the UK if we can only find the courage to leave this rotting plague ship of the UK behind. There’s a hell of a lot we need to fix in Scotland too, but with independence and a smaller country for malign power to hide in, we’d at least have a chance. It is surely time to bin solidarity. Was that not one of the tag lines for Better Together? The best thing Scotland could do for England is leave the Union and demonstrate that a very different path is possible. But hanging around for the sake of solidarity? That is just sticking our heads in the sand. The SNP is intellectually dishonest if they think it is about getting a good Brexit deal for Scotland. There is no good Brexit deal for anyone. The only sensible thing they can do is campaign for a separation from this Most Precious Union that is currently being received with a mixture of bemusement and mockery across Europe. Staying attached to it makes Scotland not only look weak, but stupid. FORTY TWO bodies found huddled in one flat according to one fireman frightened to speak for fear of dismissal. Like Nazi Germany the truth is being kept from us. You watch politicians from other European countries and they talk in a sensible, pragmatic & honest fashion. Ours spout a lot of slogans, sound bites and “on message” tag-lines that, when analysed, make no effing sense. The reason is that ours are telling lies and stealing from their own citizens. That is also the driver behind the palpable fear in the eyes of so many (especially Tory) politicians when face with open questioning. No wonder the other EU countries can’t figure out WTF we want. Lots of comments about how difficult it is to get facts and justice for the victims of Grenfell. But it’s so much more difficult to get justice for the 64 people who died in forest fires in Portugal. We now know that for every moment of every day, across every square inch of the planet, the weather is affected by climate change. Hardly surprising given that we continue to pour billions of tonnes of CO2 into the atmosphere every year. Did I kill them when I took the car to Lidl this morning? Or did you kill them when you flew to the Canary Islands?